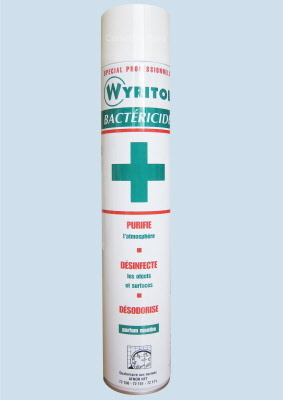 Sanitary wipes, disinfectant room sprays and hygenic sprays for surfaces. A large box containing 120 triple-action wipes for full infection protection and prevention, ideal for incubators, cribs and nurseries. A carton of 12 large boxes, each containing 120 triple-action wipes for full infection protection and prevention, ideal for cribs and nurseries. 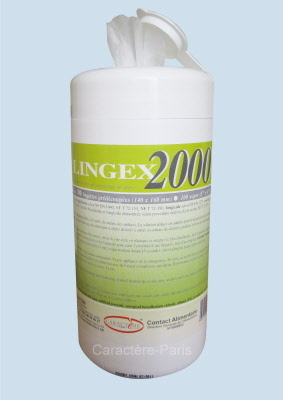 250 ml bottle of Spray'Hygiene: Disinfect surfaces quickly and completely with this triple action spray, without the need to wash or use soap. Also available in 500mL and 1L bottles. 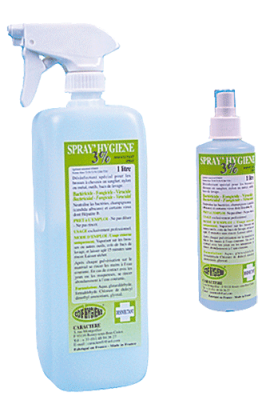 500 mL bottle of Spray'Hygiene: Disinfect surfaces quickly and completely with this triple action spray, without the need to wash or use soap. Also available in 250mL and 1L bottles. 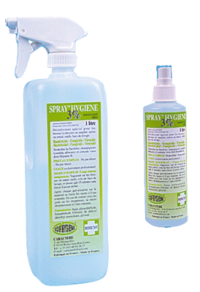 1 L bottle of Spray'Hygiene: Disinfect surfaces quickly and completely with this triple action spray, without the need to wash or use soap. Also available in 250mL and 500mL bottles.